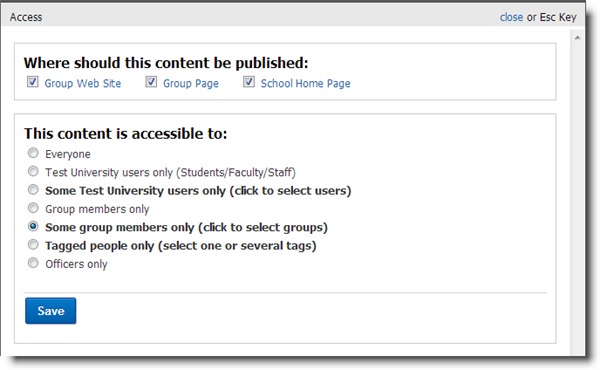 CampusGroups offers a secure way to run elections with the "Survey" feature. 5. A popup window opens. Click on "Election". 6. Insert the name of the election (e.g. Executive Committee Elections 2019) and the description. “Disable editing": Yes (respondents will not be able to change their answers). "Single answer": Yes (respondents will only be able to submit one answer). Under the "Notifications" tab, select the members tag of the members whom you want to receive notifications every time a vote is submitted. 9. Click on the "Add Question" button. 10. 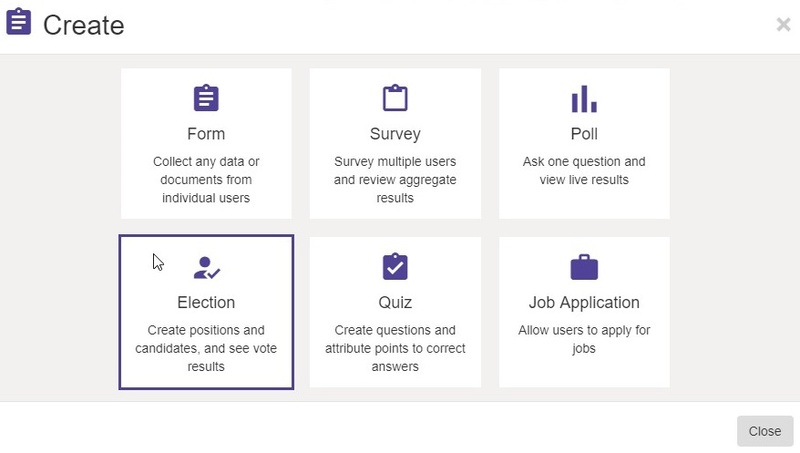 Select the "Election" question type and add candidates' information (name, description, files, videos). Click on the "Save" button at the bottom. 12. Go back to the Surveys page and click on "Access" to select where you want to publish the survey and the people in your group who are allowed to vote for that election. 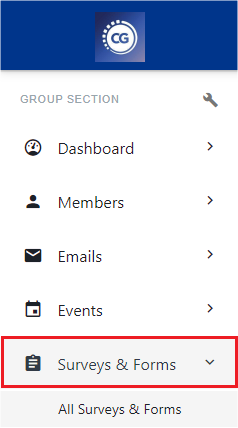 Set survey as open to “Some group members only”. 13. Then you can select only the current students (in most cases only current students can vote for student clubs' elections). 14. Send the survey to yourself and fill it in for testing purposes. Make sure your answers are properly recorded. 15. After that, send the survey to your group members who are current students by composing an email and attaching the link to the survey in the email. 16. 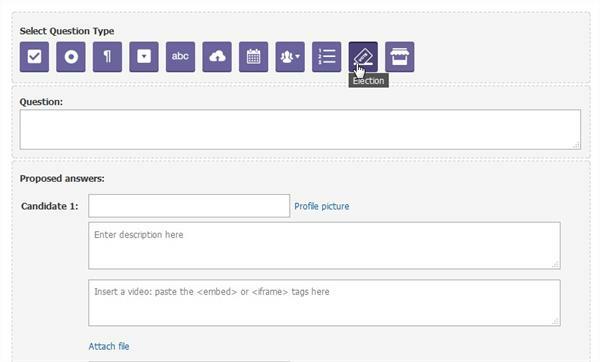 Once the vote has taken place, you can check submissions and view results by clicking on "View". You will then be able to view detailed results of the elections and download them into Excel. 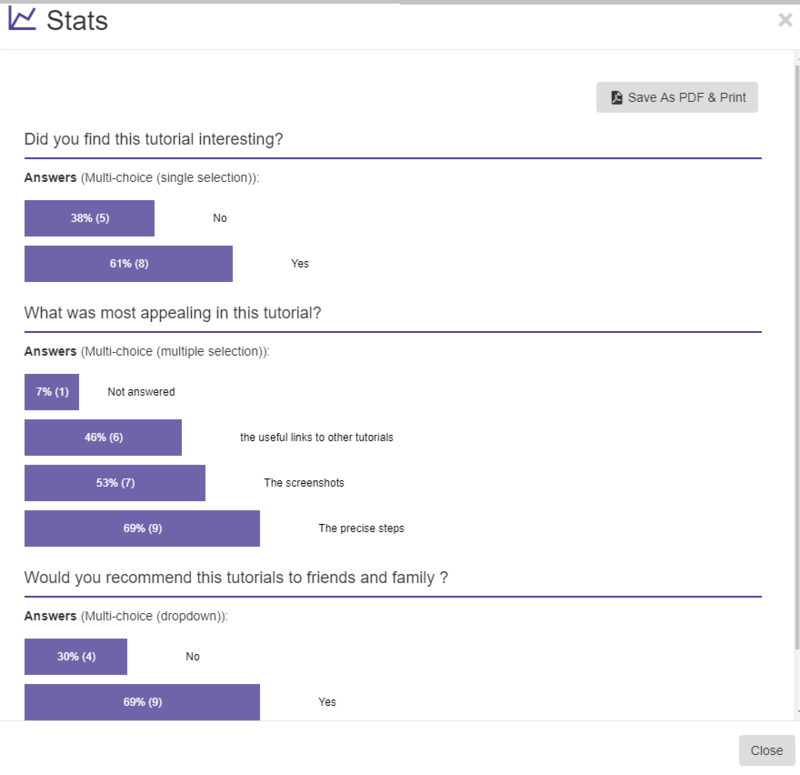 17 Click on 'Stats' to access all kinds of statistics: answers ratios, date and time of the answer, etc.